Car‑Wal Garage Doors is a business that delivers quality work each and every time we do jobs for customers. Since opening our doors in 1973, our expert technicians have been exceeding your expectations. Call us for all of your garage door needs at 519-821-4400. Our emergency repair service is available 24 hours a day. If your garage door is not working in Hamilton, Waterloo, Guelph, Oakville, Simcoe, Port Colborne, Brantford, St. Catharine’s, Grimsby, Beamsville, Binbrook and surrounding areas, call Car‑Wal Garage Doors at 519-821-4400, or complete our service form online. Shopping for a new garage door in Kitchener, ON? Considered as "twin cities" with the city of Waterloo, Kitchener has many house styles in its different neighbourhoods. From Traditional to Carriage to contemporary, we have the garage door that perfectly coordinates with the style of your home. Take a look at our image gallery, where hundreds of options are available. 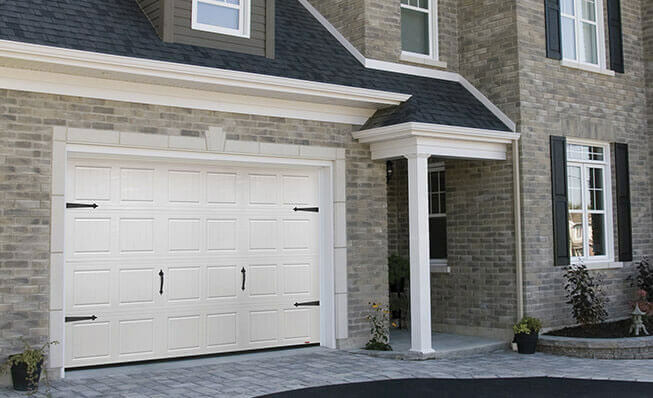 At Car‑Wal Garage Doors, we specialize in garage door installation, maintenance, and service. We carry both decorative to add charm to your home, and replacement parts for garage door repairs, including springs, garage door openers, replacement panels, and more. We have solutions available for residential and commercial garage doors, as well as industrial garage door opener needs. We recommend LiftMaster garage door openers in Kitchener for the most reliable performance. With large seasonal differences in Kitchener, usually warm and humid summers and cold to occasionally very cold winters, Car‑Wal Garage Doors recommend an insulated GARAGA garage door to keep your entire home comfortable no matter the weather. Both the Standard+ and the Cambridge GARAGA doors offer R‑16 thermal resistance, which adds up to big energy savings for you. See the design options in our Design Centre. Beechwood Forest, Forest Heights, Forest Hill, Victoria Hills, Highland West / Highland Hills, Country Hills West, Huron Park, Laurentian Hills, Laurentian West, Williamsburg, Southdale, Mount Hope, Breithaupt Park, Northward, Centreville, Sunnyside, Kingsdale, Rockway, Alpine Village, Country Hills, Country Hills East, Doon, Pioneer Park, Pioneer Tower West, Brigadoon, Deer Ridge, Cedar Hill, Bridgeport, Bridgeport West, Bridgeport North, Central Frederick, Heritage Park, Rosemount, Grand River Village North, Chicopee, Idlewood, Lackner Woods, Stanley Park, Eastwood, Grand River Village.